Former oil tycoon Mikhail Khodorkovsky, who has been in prison since 2003, has made a final address at a Moscow court hearing in the second case against him. Khodorkovsky called on the judge to have courage and said that millions of people are following the court process, hoping that the court will be able to protect their rights in the future. “I want the court in my country to become independent. I don’t want our children and grandchildren to inherit the traces of totalitarianism. Everyone understands that your verdict will become history in Russia,” he addressed the judge. The public was much impressed by Khodorkovsky’s claim that he will cling to his ideals even he has to die in prison. “People hope that the country will become free, where human rights will not depend on the tsar, where power will depend on citizens, and the court will depend on rights and on God, or if you wish – on consciousness. I believe that it will be so; I am not an ideal man, but I am a man of ideals,” he said. Vadim Klyuvgant, one of Khodorkovsky’s lawyers, also suggested that President Medvedev should avail himself of his supreme right to show clemency to the convicts and cancel the verdict, reports Interfax agency. “He can implement in practice his strategy and priorities that he came with as a president two years ago – and those are the supremacy of law and the independence of courts,” said Klyuvgant. Khodorkovsky is currently serving the eight-year sentence he received in 2005 on charges of tax evasion and fraud, alongside his business partner Platon Lebedev. With one year to their release, allowing for time served from their 2003 arrest, the court is probing new charges of embezzlement and fraud against both men. According to prosecutors, Khodorkovsky and Lebedev embezzled 218 million tons of oil from Yukos’ subsidiary companies. The charges against Khodorkovsky have long been criticized, mainly for the strong belief that both the earlier and the new charges are actually a punishment for the opposition that Khodorkovsky had shown to the government. The new verdict is believed to become a mark of whether Russia is able to have an independent judiciary. However, there are also many people that believe that Khodorovsky did steal billions from his country and now is trying to avoid prosecution. The prosecutor in the case has called Khodorkovsky a liar, arguing that Khodorkovsky is trying to play out to the political elements in this trial. The verdict is to be announced on December 15. Till that day, Khodorkovsky and Lebedev will remain in custody. 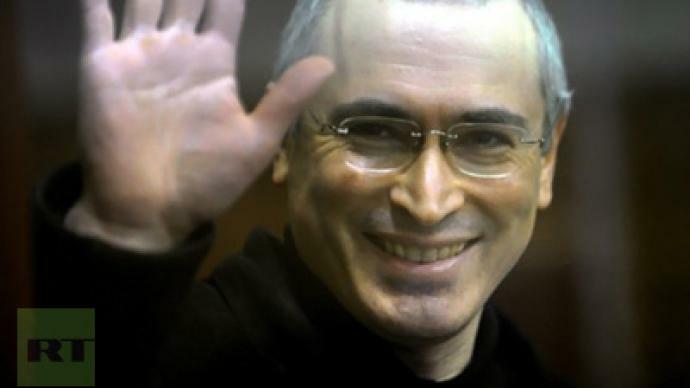 If found guilty of the latest charges, Khodorkovsky could stay behind bars until 2017.